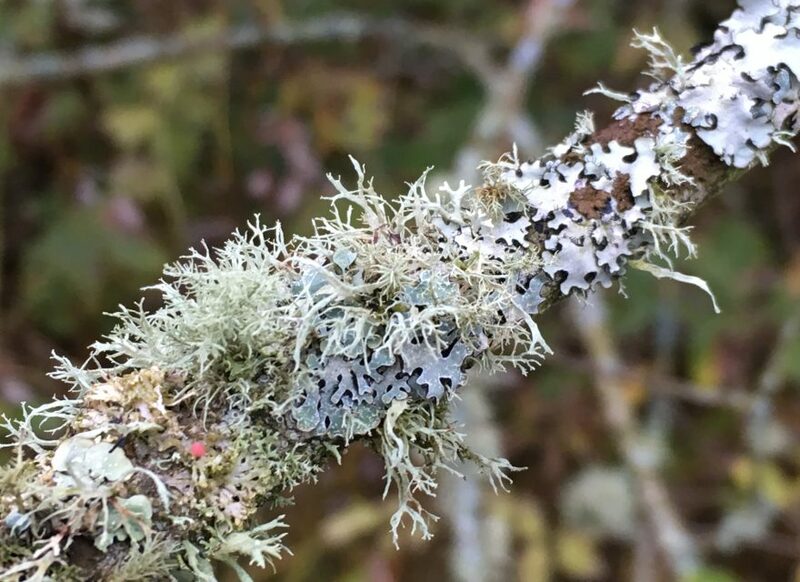 In the depth of winter, when all seems dead, life teems everywhere..
Lichens have been used as dyes, perfumes and medicines. Squirrels use lichens to line the inside of their nests. Birds use lichens to patch the outside of their nests (feathers where possible are used on the inside) to camouflage them. Parmelia and Physcia species are used most frequently. Birds play an important part in dispersing lichen soredia (see Lichen Reproduction). The soredia are small and light enough to adhere to bird’s feet and feathers and consequently are carried to other trees and habitats. Moths and butterflies feed on lichens and use them for camouflage.